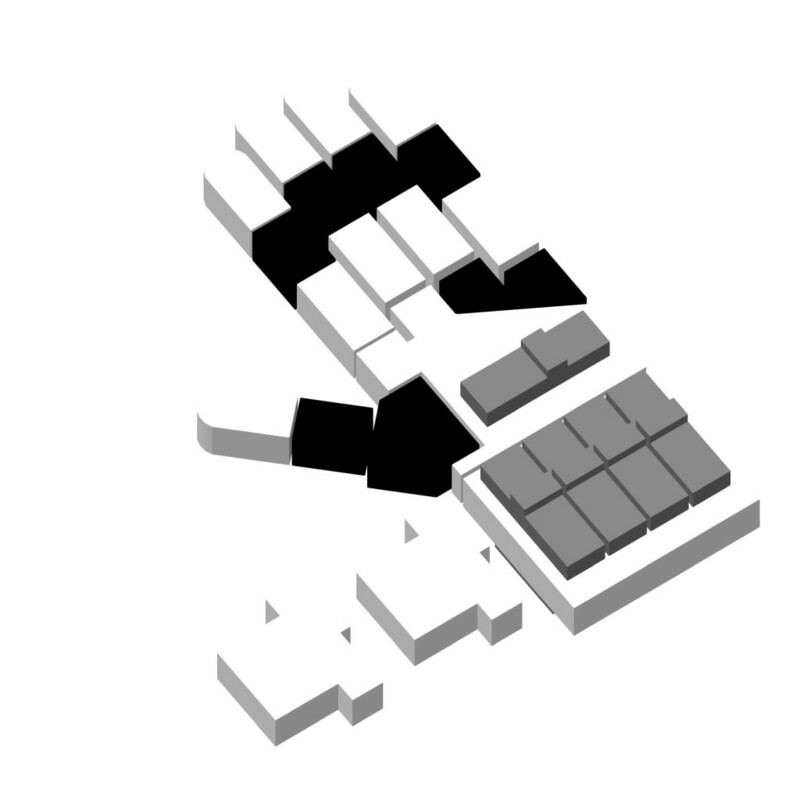 This project has been reported by the Forbes and Steve-rosenbaum. Forbes: Can A Robot Find You Love? 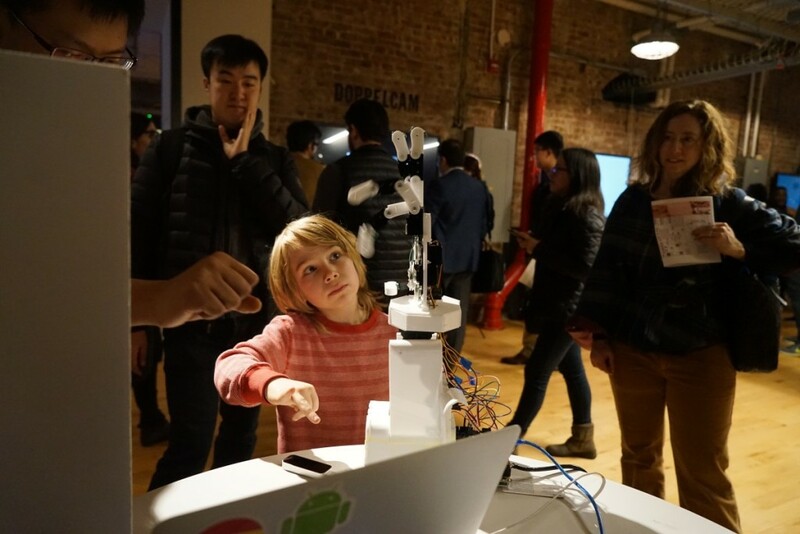 NYU’s ITP Winter Show Says It Can. 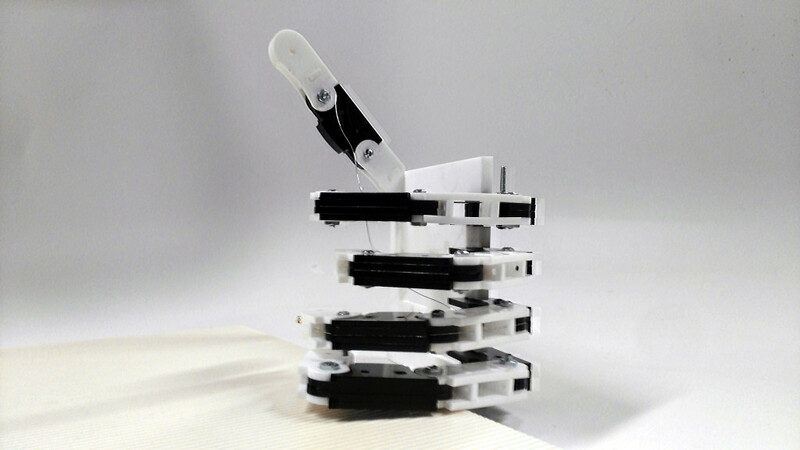 Homemade Robotic Hand_new_version_introduction2 from Fengyuan Zhu on Vimeo. One of the biggest distinction between human-beings to other creatures is that human have hands. Unfortunately, not everyone have two hands. Though 3-D printing is very popular in the current age, it is still not available for everyone to take usage of it. 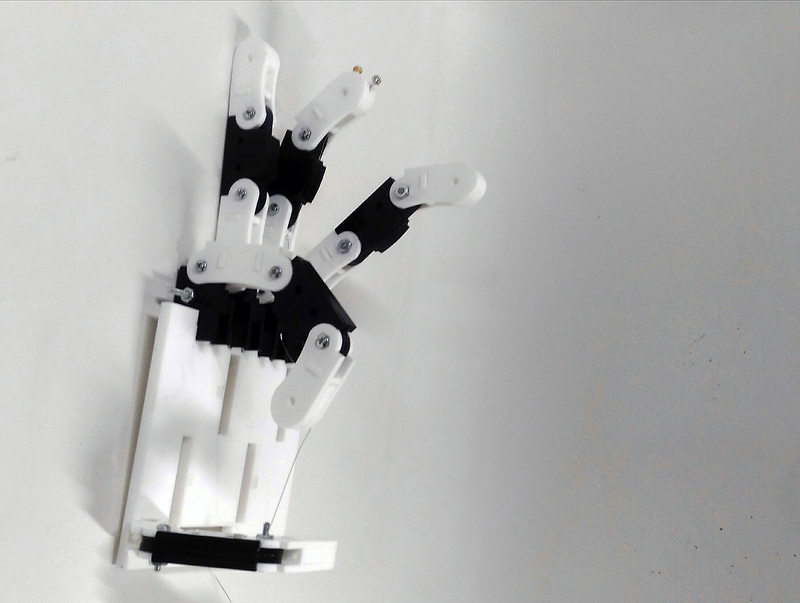 We designed a Low-cost Robotic Hand, with only require piece-by-piece materials and standard parts which can be easily got by everyone, make it available for everyone to duplicate it only with cardboard, scissor and parts bought in Amazon. 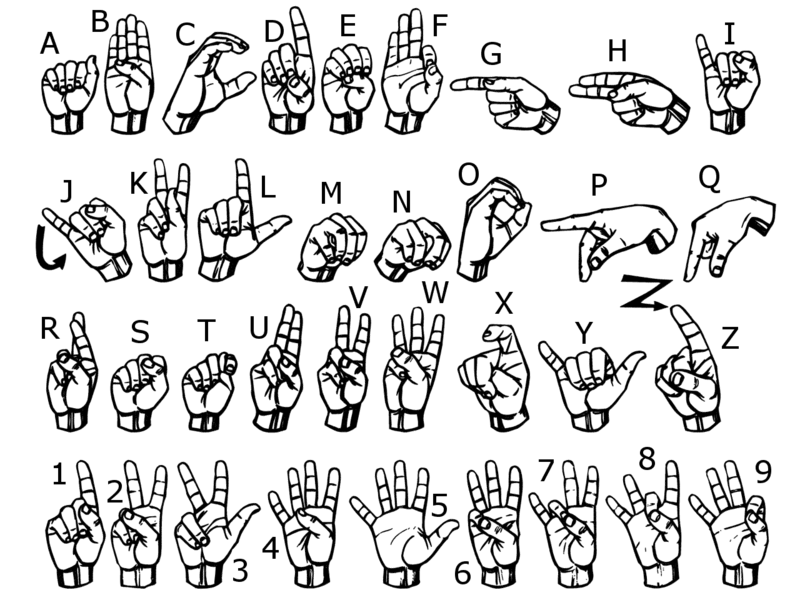 We also make a linkage between Myo and our Hands, in order to make the hand controllable by the residue muscles that the most disables have. Also, in order to make the whole staffs can be played by normal people, we also designed a control software in LeapMotion, and also make a simple game for users to have fun. 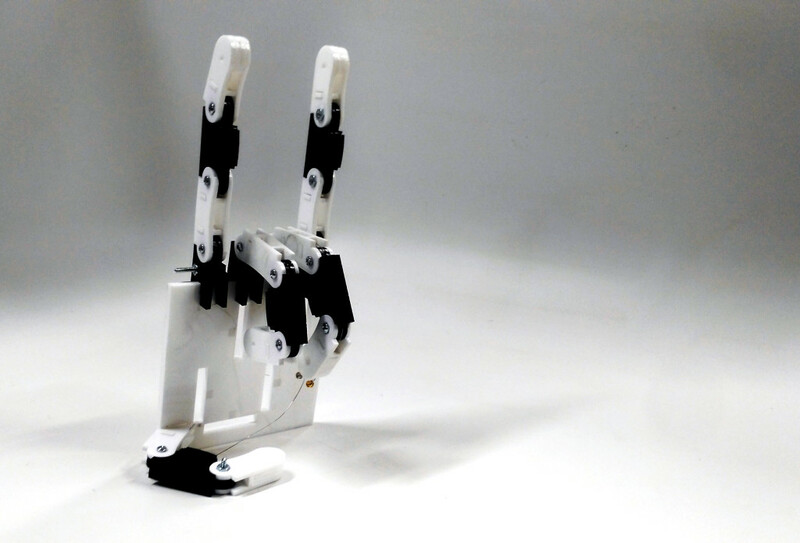 We designed a 7-freedom hand, and link it to the Myo, performance as what we trained before usage. 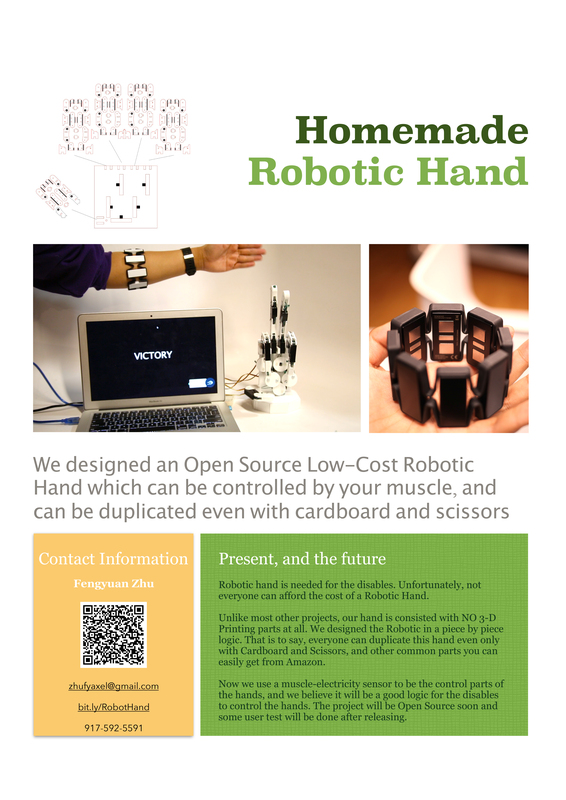 We also designed a wrist for the robotic hand, and also added a Leapmotion for player’s to have fun. And we got a very good feedbacks during the show, people like it and have fun with it. 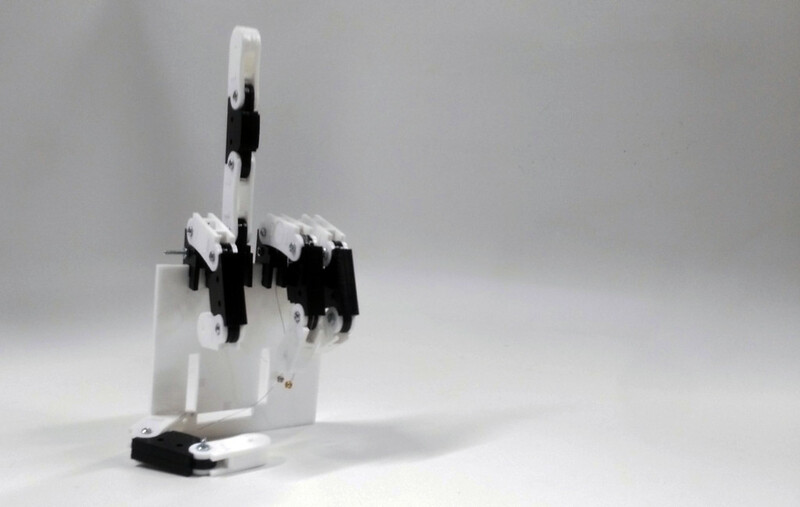 Homemade Robotic hands, Players during the show1 from Fengyuan Zhu on Vimeo. Basically, it works well, with a 50 watt power supply and a transmission between the computer. 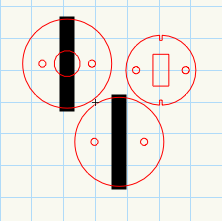 It is easy to make a wireless connection directly to the arduino, but I still use the computer for a linkage, in order to make it debuggable. 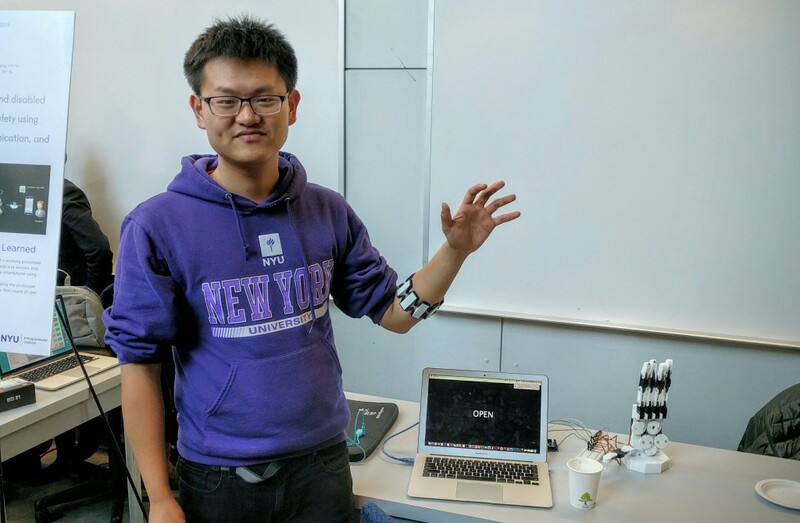 During the show on Dec 4th, I tested the whole system to many people, found that different people need a totally different adjustment to the Myo, and the hand is not so robust, still need some progress. 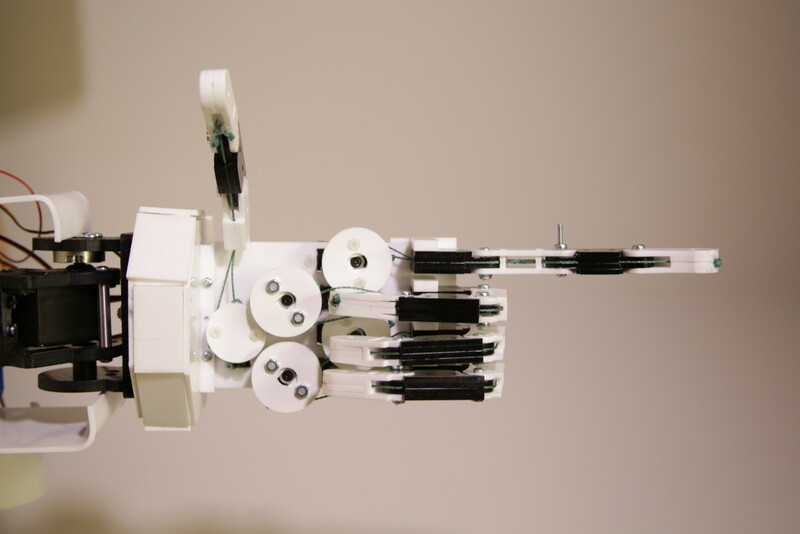 Homemade Robotic Hand from Fengyuan Zhu on Vimeo. 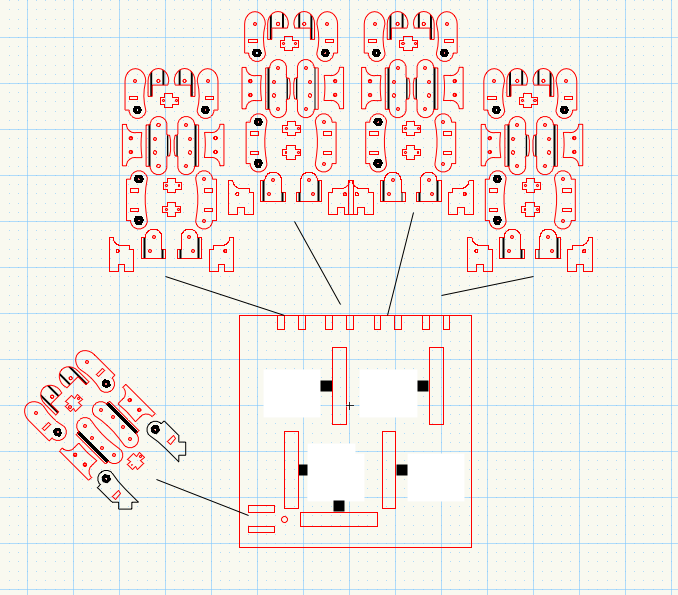 Wrist designed, added and first test passed!!! Wrist from Fengyuan Zhu on Vimeo. first move from Fengyuan Zhu on Vimeo. 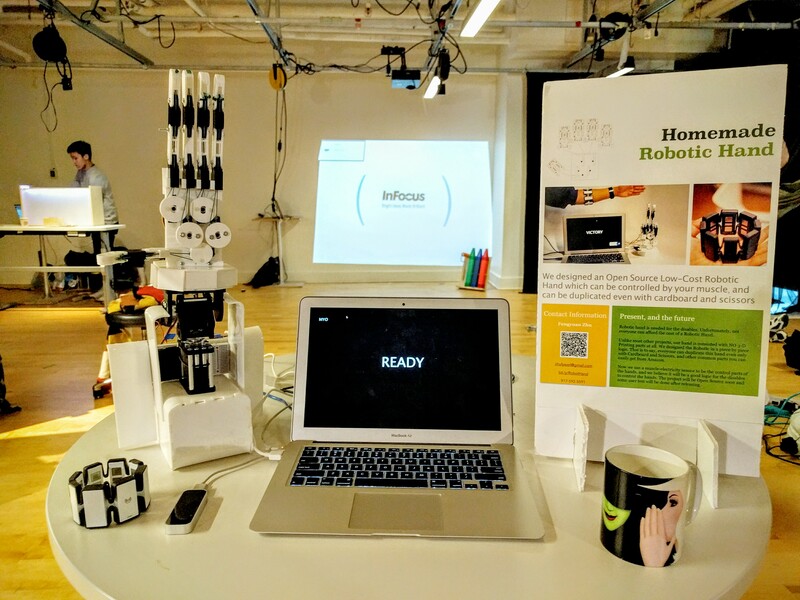 Design a mechanic, flexible robotic hands. Design the interactivity behind it.